New York Film Academy Acting School student Joy Rovaris has just signed with an LA based talent agency. Rovaris is a MFA acting student who completed her first year in New York this past May and is now working towards completing her degree at NYFA Los Angeles. 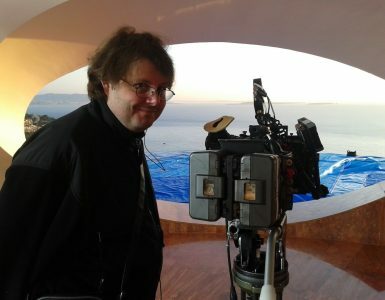 Rovaris comments,” NYFA prepared me for auditioning because they gave me the training, pretty intense mock auditions, and then confidence needed to first send out my information and then to be at a ‘300% performance level’…(Paul Warner) once inside the door. 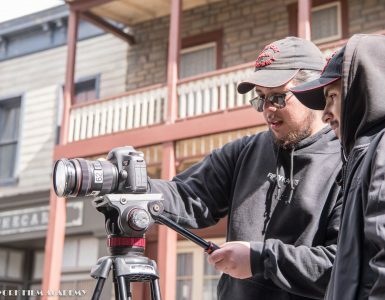 NYFA has helped me get to where I am because they exposed me to the science behind my natural talent. The program was much more intense than I’d imagine. I learned how to bring my emotions to JUST below the surface and let them fester and manifest through my body in a performance. No way I could have been ready for this prior to a year at NYFA. I feel the teachers I had at NYFA NYC have prepared me most for where I am now. We’ll see what else LA brings!” Congrats Joy! 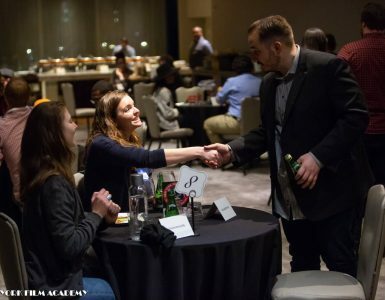 Good University Ranking Guide Ranks NYFA Screenwriting Programs as the Best!